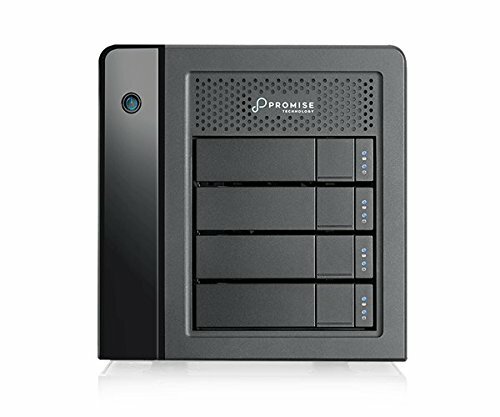 The latest generation of Pegasus RAID storage, PROMISE Pegasus3 delivers the power of Thunderbolt 3 technology. Now you can get the blazing speeds essential for your high-resolution video and rich media projects, along with the safety and security of full-featured RAID protection. Dual Thunderbolt 3 ports give you 40 Gb/s connectivity and the ability to connect up to six daisy-chained devices on a single Thunderbolt 3 port. Pegasus3 is ready to use out-of-the-box. It's available in 4-, 6-, and 8-drive versions and includes setup, management, and monitoring tools, as well as a three-year limited warranty and 24/7 online assistance for creative users.